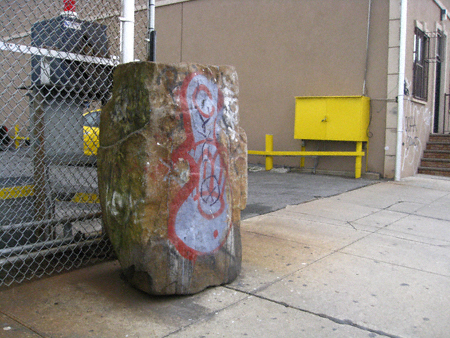 A Rocknapping In East Williamsburg? At Morgan Ave. a bit north of Rock St you will find a huge rock, about 5 feet tall. Apparently this is the rock that Rock Street is named for. 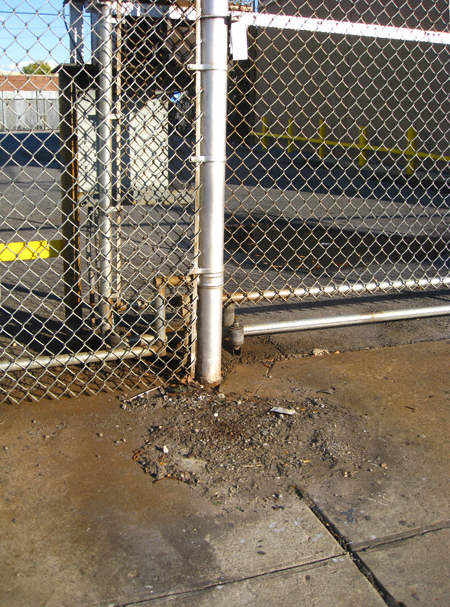 I mention this anecdote because when I walked by last weekend I noticed something amiss. Namely, no rock. Why was this rock removed? When was this rock removed? HOW was this rock removed? I seriously doubt it was hauled off and sold for scrap (although I suppose anything is possible nowadays). Thoughts anyone?